We believe in the power of speaking-out about the issues of gender and relationship violence. In partnership with community organizations, we work to provide community-wide educational and prevention programs that reduce violence. Our efforts also includes mobilizing others to volunteer and make a difference in their communities. Jana’s Campaign staff members, board members, and volunteer advocates are available to speak at your conference, church, or community event on the important issues of gender and relationship violence prevention. We have served as speakers for domestic violence shelters, human resource departments, activist groups, church groups, prisons, and many other community organizations. We can tailor our message to your particular group or focused topic area. Please contact us with any questions or to schedule a presentation today! All proceeds from speaking engagements go directly to supporting Jana’s Campaign, Inc.
JanasStory.org allows us to share the story of Jana’s life and death to thousands of people around the world. We have translated Jana’s Story video into multiple languages and it can be watched at the links below. Thanks to the energy, passion, and spirit of one young activist, others are now answering the call to serve. Eleven Hundred Torches encourages hundreds of ordinary citizens to serve others. Inspired by the life of advocate and activist Jana Mackey, and motivated into action by her death, this national campaign has been created to inspire others to make a difference. 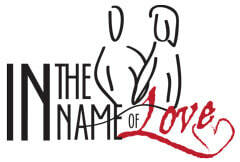 “In the Name of Love” is an art exhibition that seeks to bring awareness to the issues of gender-based violence. The African art work was provided to Jana’s Campaign by a Namibian organization called Victims2Survivors. The pieces were originally displayed in the National Art Gallery of Namibia as part of the Unite to End GBV Exhibition, and was co-sponsored by the United Nations Development Programme and the Joint United Nations Programme on HIV/AIDS. To see the entire gallery, please see this link. For more information about this collection or if you are interested in displaying it at an event or gallery, please contact us today. ​Jana’s Campaign can provide speakers and facilitators to help you with your work of engaging men and boys to reduce gender violence. Dr. Curt Brungardt, co-founder of Jana’s Campaign, as well as other volunteer speakers, can provide your venue with knowledgeable experts on the role men can and should play in reducing domestic and sexual violence. Whether in a formal presentation or in an informal and casual discussion with male audiences, the speakers can have a very honest, frank, and difficult conversation with men on a topic they usually shy away from.